 This Father's Day, Get Dad Dress Pants Made from Recycled Water Bottles! Does Dad love gifts that are environmentally friendly? 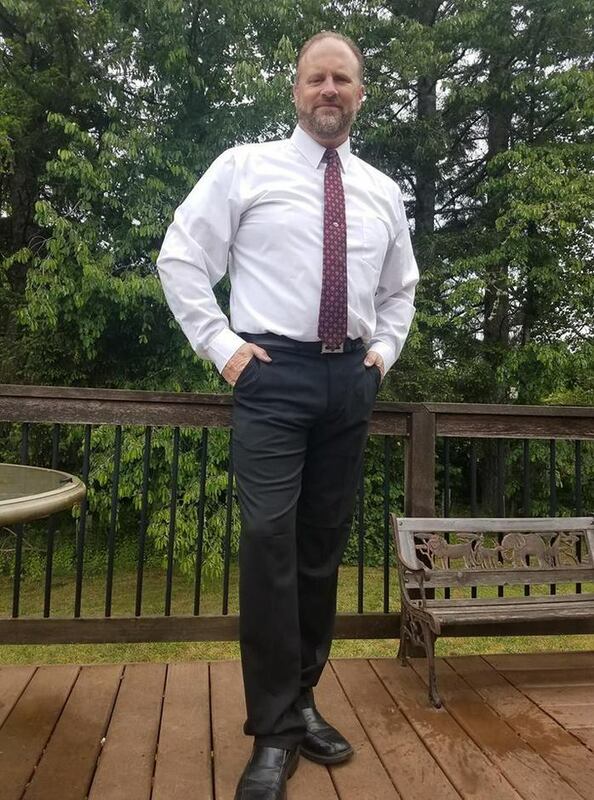 Does Dad like looking Dapper? Well, with Haggar’s E-CLO Stria Dress Pants, Dad can have both. Aside from just being a great looking pair of pants, these great looking dress pants are a great example of sustainable clothing. Haggar actually received an inaugural REPREVE® Champions of Sustainability award earlier this year and their E-CLO Dress Pant features fibers made from recycled water bottles. Haggar has worked with Unifi, Inc. for over 5 years, using fabric made from REPREVE upcycled fibers and selling pants that utilized the equivalent of more than 130 million recycled water bottles to date. This year, Haggar also donated to the National Parks Society to celebrate Earth Day. I received a pair of Haggar's E-CLO Stria Heather dress pants in black for my husband's early Father's Day gift. 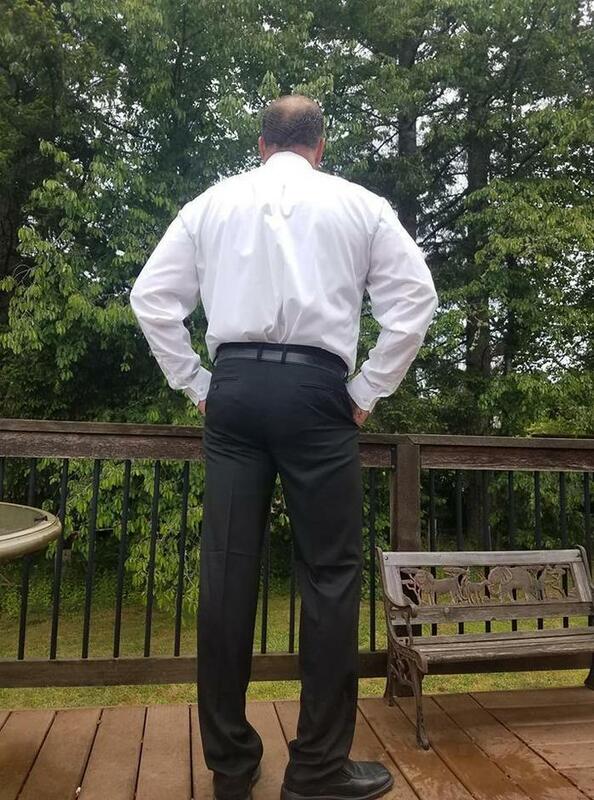 We go to church every Sunday, and I thought it would be nice for him to have a new pair of dress pants, especially for Father's Day. My husband tried them on and they fit like a glove! Jon looked so very handsome wearing them. They accentuated all of the right places of his body. He even looked amazing from the back! A great fit and various color choices make these striking dress pants a great addition to any wardrobe. Subtle striations in the Repreve® recycled fabric made from water bottles give these dress pants a distinctive refined look. You'd never guess they are machine washable, no-iron and extremely comfortable with a hidden expandable waistband. I love how these dress pants look on my sweet husband. He loves the way they feel. He says that these pants do not feel restricting the way other dress pants feel. They are very comfortable! He thinks it is great that they are made from recycled materials. Acure Organics is a family owned and operated company founded on sustainable principles to provide the highest quality fair trade, natural and certified organic personal care products. Their products are created with great care and are a reflection of their values. Each of their products is free from animal testing, parabens, sulfates, phthalates, synthetic fragrances, harmful preservatives and artificial colors. I received samples of some of Acure's finest products to review. They are as follows: Facial Cleanser Gel, Facial Toner, Marula Oil, Night Cream, Body Wash, Lip Balm, Shampoo, Conditioner and Hair Mask. My Experience: Wow! I love this amazing cleanser! It smells so clean and fresh. It is very gentle, and removes my eye makeup without irritating my eyes. My skin is left squeaky clean and soft. It makes me happy to know it also stimulates new cell growth. 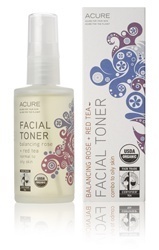 This alcohol-free certified organic toner utilizes Organic Witch Hazel to purify, Organic Vegetable Glycerin to moisturize and Organic Rose and Chamomile to soothe, calm and restore the skin’s natural acid mantle—the skin’s own protective layer. My Experience: After washing my face, I apply this amazing toner to my face, neck and chest area and I let it absorb into my skin for about three minutes. It makes my skin feel refreshed and renewed. 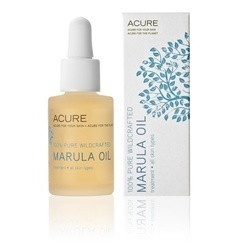 This Marula is 100% pure, wildcrafted without pesticides, cold pressed and unrefined.. The Marula project provides economic empowerment to the South African women who harvest and process the oil. My Experience: Marula oil is the perfect natural moisturizer for your body, face and hair. I use it on my face for a touch of moisture in the morning when my skin is dry. It does not leave a greasy feel. I love to slather it on my body after my shower to seal in the moisture before I dry off. It is also great for hair. After I towel dry my hair, I apply Marula oil to my ends for extra conditioning and to prevent split ends. Age-fighting Argan Stem Cells, shown to help the skin’s natural repair process, firm and moisturize while 2% Chlorella Growth Factor fortifies collagen and elastin fibers. Hydrating Moroccan Argan Oil seals the deal, truly making this nature’s own skin rejuvenating system. My Experience: This wonderful night cream is the perfect cream for healing and repairing your skin while you rest. I love how soft and supple my skin is when I wake up in the morning. 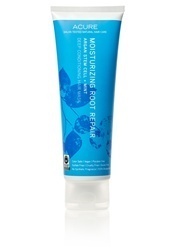 This Cell Stimulating body wash moisturizes as it cleanses. With Moroccan Argan Stem Cells, Organic Argan Oil, CoQ10,Sea Buckthorn Oil, and Pumpkin Seed Oil, your skin will glow with renewed radiance. My Experience: I absolutely love how this refreshing body wash lathers up into pure luxury on my skin. It feels so nice and it is perfect for shaving my legs. USDA Certified Organic Lip Balm. You wouldn't want chemicals on your lips now would you? Why not use food grade certified organic protection? This silky, smooth lip balm provides serious protection for dry and cracked lips. Prepare to be kissable! 100% of lip balm profits are donated to Breast Cancer Research! My Experience: This lip balm is pure lip bliss! It tastes amazing and my lips have never felt softer. I keep it by my bed at night and always apply it before I go to sleep for extra sweet dreams. Build dynamic volume without stripping natural oils or creating build-up. For hair that feels thicker, fuller, and uplifted. Quinoa protein extract supports keratin. Babassu oil provides lightweight moisture for root and scalp maintenance. Echinacea Stem Cells promote cellular regeneration at the root level. My Experience: I absolutely love the tingling minty freshness and feeling of deep cleanliness that this shampoo gives my hair. It lathers up like heaven and rinses away buildup. My hair is left bouncy and shiny! Build dynamic volume with intense lightweight moisture! For hair that feels thicker, fuller, and uplifted. Quinoa protein extract supports keratin. Argan Oil + Babassu Oil provide lightweight moisture for root and scalp maintenance. Echinacea Stem Cells promote cellular regeneration at the root level. 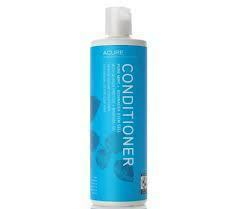 My Experience: This minty conditioner really wakes up my tired scalp. It revitalizes not only my scalp, but makes my hair soft, full and beautiful with just the right amount of moisturizers. It also smells wonderful! With nourishing organic Argan oil and CoQ10, this acidifying treatment will protect the hair cortex, locking in moisture and color, while Argan stem cells dive into the follicle to strengthen, nourish and regenerate hair at the root. My Experience: I love to deep condition my hair once a week. This amazing mask brings back vitality and much needed moisture to my hair when it gets lifeless and flat. My hair feels so healthy afterwards, and I find myself running my fingers through it all day long because of how soft it feels.